A transcript of this video can be found here. Video by Jenny Wells/UK Public Relations and Marketing. 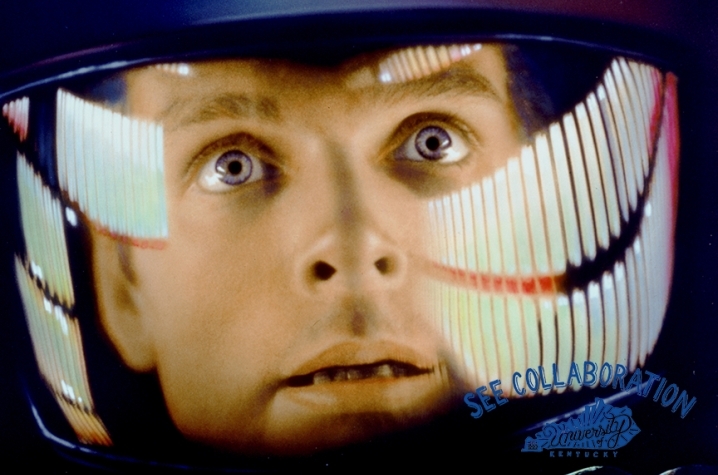 LEXINGTON, Ky. (Jan. 29, 2015) — This weekend the Singletary Center for the Arts and the University of Kentucky School of Music will make history in presenting a live orchestration of Stanley Kubrick’s legendary film, “2001: A Space Odyssey,” featuring the UK Symphony Orchestra, conducted by John Nardolillo, and the UK Chorale, conducted by Jefferson Johnson. This will be the first-ever performance of the repertoire by a university orchestra and chorus. Performances are scheduled for 7:30 p.m. Saturday, Jan. 31, and 3 p.m. Sunday Feb. 1, in the Singletary Center Concert Hall. This program has been presented by an exclusive selection of the world’s greatest orchestras including the London Philharmonia Symphony, The New York Philharmonic, The Brussels Symphony, and the National Symphony. The UK Symphony Orchestra and UK Chorale have the prestigious honor of being the first university ensembles to perform this concert. 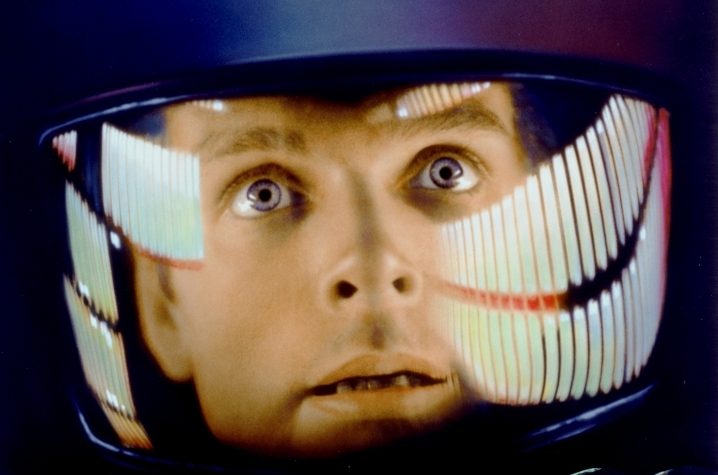 "It will be a full orchestra on stage with a full chorus doing all of the sound effects and music from the movie score, and above the orchestra and chorus will be a full screen movie of '2001: A Space Odyssey' with special projectors and sound systems that we had to scour the United States to find. It's basically a technical feat for our hall to stage this show but our technical director, Tanya Harper, and our crew have figured it out and it's going to be pretty exciting," said Michael Grice, director of the Singletary Center. UK's presentation of "2001" is the product of a successful partnership between Nardolillo and Grice. The pair began working together in 2008 to identify major artists and musical opportunities to highlight the talents of UK students with some of the world's best artists and programs. The magnitude of these opportunities and being given the opportunity to be the first university ensemble to perform "2001" is not lost on the students. "That's where the pressure hits. Our parts are actually from the New York Phil, one of the top orchestras in the world. So now the pressure is on us to have the caliber of music that they do. That's an honor to be playing on parts that they performed with as a collegiate orchestra," said Nathan Williams, arts administration and music performance senior from Louisville, who plays the French horn. While UK's students are used to playing and singing a myriad of masterpieces by the world's most celebrated conductors, "2001" stretches their musical muscles with the unearthly, unusual sounds evoking space travel. To be prepared for such a different concert, UK Chorale had to develop its own rehearsal methods beyond just screening the film. "2001" calls for approximately 20 individual sounds from the vocalists performed in a group. In order to be ready to sing the notes given to them, members of UK Chorale practiced not only as a group but often individually with their smart phones and metronome apps that helped them properly time their individual parts. "It's a wonderful experience. It has definitely helped us grow a lot as an ensemble and as individual musicians because it is very challenging music. It demands a lot of outside of class work and it is definitely a lot of ear training for all of us, so it is helping us become better musicians," said Laura Salyer, a December 2014 vocal performance graduate from Lexington. Since Nardolillo took the conductor's podium of the UK Symphony Orchestra, it has enjoyed great success accumulating recording credits and sharing the stage with such acclaimed international artists as Itzhak Perlman, Lynn Harrell, Marvin Hamlisch, as well as the Boston Pops. In addition to its own concerts, the orchestra provides accompaniment for much of the UK Opera Theatre season. UK Symphony Orchestra is one of a very select group of university orchestras under contract with Naxos, the world's largest classical recording label. To see the UK Symphony Orchestra's season brochure, visit http://finearts.uky.edu/sites/default/files/14-15_UKSO_layout.pdf. The UK Chorale is the premier mixed choral ensemble at UK School of Music. The ensemble consists mostly of upperclassmen and graduate students. While the majority of singers are music majors, there are a number of other academic disciplines represented within the ensemble. The Chorale prides itself in performing a wide variety of choral literature from Renaissance to 21st Century. Tickets prices range from $40 to $30 for the general public, and $20 for UK students, faculty and staff (all tickets subject to box office fees). Tickets can be purchased via the Singletary Center Box Office by phone at 859-257-4929, online at www.SCFAtickets.com or in person. Students can get discounted rush tickets to the Feb. 1 performance of "2001: A Space Odyssey" on Sunday. “We have received such a positive and enthusiastic response from the campus and Lexington community for this program; I’ve rarely ever experienced so much excitement and anticipation for an arts event in Lexington. The Singletary Center wants to make sure as many students as possible have the chance to enjoy this once-in-a-lifetime cultural experience. Lexington audiences will likely never have another opportunity to witness this spectacle, so we don’t want anyone to miss it. On Sunday afternoon we will be offering discounted $14 tickets for any student, available exclusively at the SCFA Box Office beginning at 2:00 p.m.," said Matthew Gibson, marketing director at the Singletary Center. A part of the UK College of Fine Arts, the Singletary Center for the Arts presents and hosts around 400 artistic, cultural and educational events annually for the university community, Lexington community, and the Commonwealth of Kentucky.